Building this line of Stealth's meant designing a turbo that's safe to tow with, fun to drive every day and class leading competitor. If you think street-able, clean, stealthy power is cool than this is the turbo for you! We left no stone un-turned when engineering the LML Stealth 67G2. 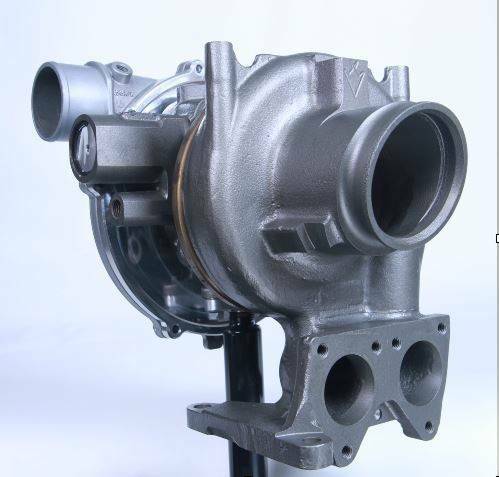 Our custom 67.7mm compressor is milled out of high strength 7075 Aluminum. It's TCT design is engineered to maximize peak power. To fit that wheel we developed a unique, OEM appearing, anti-surge equipped compressor cover. Redesigning the compressor to maximize power and driveability meant pouring over every detail of from MWE groove width and placement to diffuser clearance and shape. The LML Stealth 67G2 center section is fitted with a 360 degree thrust bearing and features liquid cooling to increase reliability and minimize thrust wear during competition use. 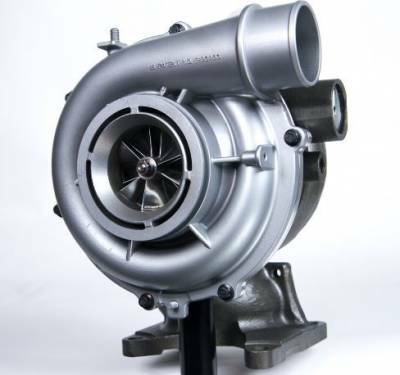 The turbine side innovation rivals the compressor side. Our turbine dwarfs the factory turbine and the Garrett 4094VA in every way. The turbine inducer is taller, allowing much higher flowing vanes which are actuated with our matched unison ring. The LML Stealth 67G2 features the largest turbine and vanes available in this frame. Increasing turbine size dramatically reduces drive pressure under heavy load, helping you achieve nearly a 1:1 drive to boost ratio under most operating conditions. Controlling drive pressure helps make more power and significantly lowers EGT's.